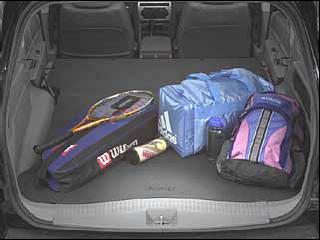 Protect the cargo area of your Jeep Grand Cherokee with a Mopar cargo area liner from JustforJeeps.com. This heavy-duty mat is custom cut to fit your Grand Cherokee by the folks at Mopar, the official parts and accessories division of Jeep. Note that the mat will not fit the molded-in rear headrests of 2008 and later Grand Cherokees. A cargo area liner will protect your Jeep from wet or dirty items you need or carry or just from the wear and tear of regular items that get thrown in the back of your Grand Cherokee in daily use.? Black, mat kit, folding style, heavy-duty (Two-piece design). Will not fit around rear headrests in the 2008-2010 Grand Cherokee since they are molded to the seat.